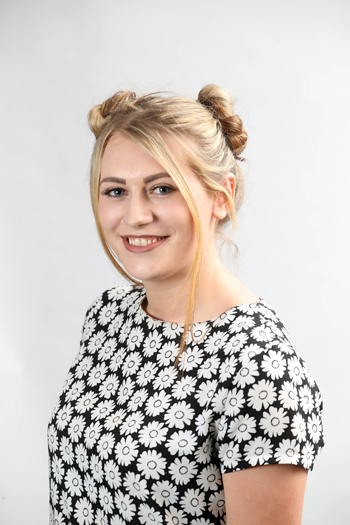 Hannah Colston is a Leadership Team Member of the National Society of Apprentices, which represents the voices of over 200,000 apprentices from across the UK. Hannah also sits on the European Apprentices Network board and is currently the only UK representative. Hannah engages with apprentices, presents their views and needs at meetings, and campaigns on important issues at a UK and European level. In September 2015, I began my apprenticeship – I must admit, this was a gamble after reading stories about apprenticeships that very simply, were not good enough. Stories about apprentices paying 80% of their wages on travel, or providing cheap labour with no meaningful training. A short-time into my apprenticeship, I realised that the challenges I’d read about were happening to me. I began to realise that apprentices lack representation during these difficult times. I believe that my first-hand experience of difficulties faced by apprentices has made me the leader I am today, with a passion for helping and inspiring others. What have been the main highlights and challenges since taking up your leadership role with the National Society of Apprentices? Since taking up my leadership role, my main challenge has been maintaining my enthusiasm and energy to support other apprentices when I was faced with personal difficulties on my apprenticeship – being a female in construction can be challenging. Despite this, I have been involved in campaigning to improve the quality of apprenticeships and lives of millions of apprentices across the UK – seeing the impact that our work has on these individuals has definitely been a highlight. It feels good to stand for something that you feel so passionately about whilst also making a big difference to others. One of the most helpful and important things I’ve learnt is that to make a difference, you don’t have to be brilliant, be rich or have a university degree – you just have to be passionate about what you do and have a desire for helping and inspiring others. The construction industry is thriving in Wales with projects like the Swansea Bay tidal lagoon, the Metro and M4 relief road. I believe that the biggest challenge is attaining more female leaders within these projects. This can show diversity and challenge the current boundaries associated with females in construction. Ann Cotton is my personal favourite. Born and raised in Cardiff, she founded CamFed in 2003. I admire her commitment and dedication to helping impoverished girls in rural Africa go to school, get a career and pull them from a vicious circle of poverty. David Sadler is Head of IT Recruitment at the Acorn Group managing a team of specialist IT recruitment consultants supporting client delivery across Wales, South West, Birmingham and London. 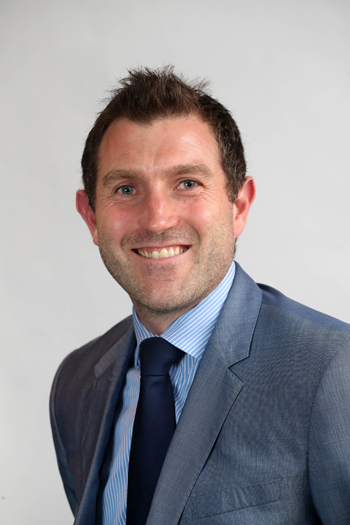 Dave is directly responsible for managing the cost centre, hiring and sales development of new and existing clients. Until my early twenties I had been very fortunate that I hadn’t really faced many life changing challenges as I had a very supportive family. At 25 life changed significantly for me, I ended a relationship and completely changed my outlook on life and management. From that day, I have believed that people should be answerable for what they do, they should be given every chance to achieve and people should work for today and not for tomorrow. Nobody knows what’s around the corner and every effort should be made to believe in yourself and your team. What have been the main highlights and challenges since taking up your leadership role with Acorn? In 2016 I was given the responsibility of managing the IT Division for the Acorn Recruitment group. Its biggest challenge was that IT was a very small part of a corporate strategy, had very limited personnel and the brand was associated with something completely different to what we were selling. That said, my biggest highlight is making Acorn now recognised as a major competitor to the leading specific IT recruitment brands in South Wales/South West. I have grown the turnover and profit every year since I started in the role. I have learnt that despite not being recognised in your market place with hard work and a good team you can change people’s attitudes. With a strong marketing and PR team and a relentless attitude anything is possible. Good leadership is passed down also, if you are led and advised well you are more likely to replicate. Everybody’s desire to have everything now plus the attitude of a millennial is very different to our generation X and Y individuals. Companies will need to learn how to cope as the millennial has far less devotion and commitment levels aren’t what they were. Also, communication, everyone seeks short hand information – good leadership for me needs to come from verbal communication and planning. I admire people that challenge the norm and build teams that come on the ride with them rather than people that do it themselves. I have been fortunate to spend some time with Osian Roberts, Welsh team coach and he seems to have the perfect attitude to leadership, well educated in the game, isn’t afraid to make tough decisions and knows that he is scrutinised every single day. People enjoy his company and want to play for him.